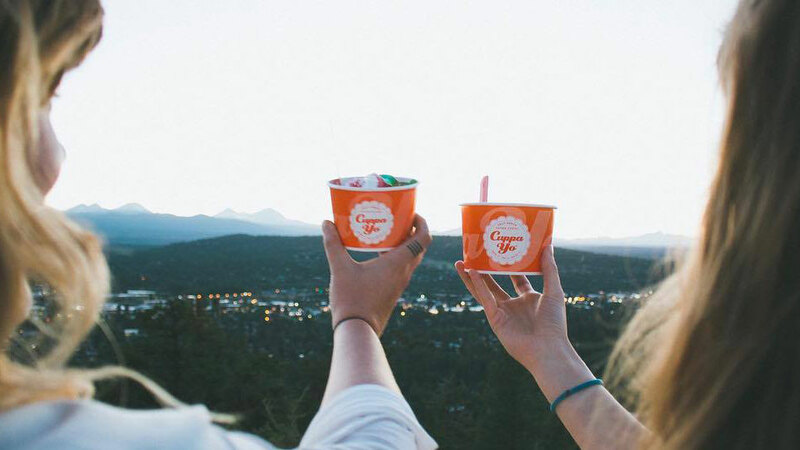 Consistently voted one of the best places in Bend to get dessert, Cuppa Yo is a high-energy local business started by a pair of sisters and their husbands. As they say, “we don’t just sell frozen yogurt, we eat it.” A healthier alternative to ice cream, Cuppa Yo offers six to eight rotating flavors that change daily, and dozens of toppings. Select your cup size, serve yourself your yogurt flavors, top it all off with as many candies, crunchies, berries and more that you want, and take it to the counter for weighing. It’s a lot of fun per ounce and it’s been generating smiles with a location on Newport Ave since 2009 and, following that warm welcome, one on the east side at 27th St and Greenwood in 2011. The east side location offers a party room for $25 an hour perfect for kids’ parties and family celebrations, and they also cater events and create Cuppa Cakes.